They’ve done what no Japanese act has done in 50 years. Japanese acts including Babymetal and Perfume have recently become the newest music groups from the country to find fans in the US. 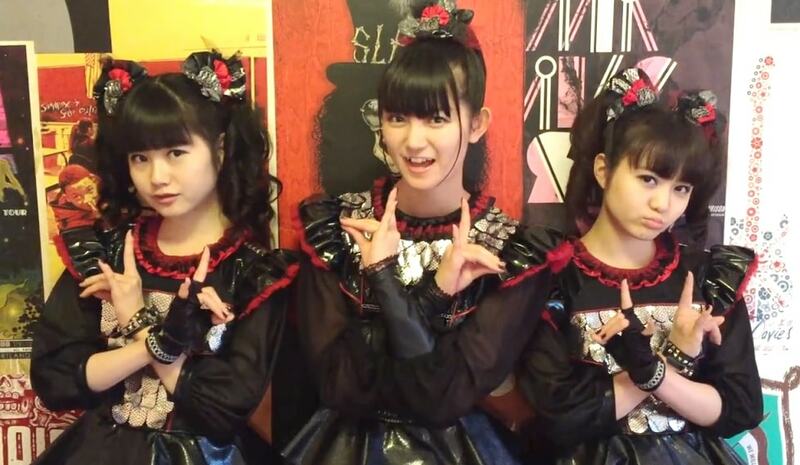 Your guide to the top 10 songs that made Babymetal a worldwide phenomenon. Giappone. Incontriamo il simpaticissimo Yuya Maeta, batterista inserito da anni nell’ ampio panorama dei professionisti del settore: Yuya ha fatto parte per vari anni del Blue Man Group, collaborato con Marty Friedman ed ultimamente è sulla cresta dell’onda essendo sostituto d’eccezione nell’ organico delle sorprendenti- Babymetal. Babymetal, a trio of schoolgirls with a serious heavy-metal fetish, is Japan’s hottest new export. Made up of Moa “Moametal” Kikuchi, 16, Yui “Yuimetal” Mizuno, 16, and Suzuka “Sumetal” Nakamoto, 18, the group might have been created in the studio, but its success is real. The video for its single “Gimme Chocolate” has more than 55 million views on YouTube, and its self-titled debut was the best-selling Japanese album in America in 2014. The heart of Chicago’s first Open Air Festival is ’90s metal: Disturbed, Korn, Slipknot, Chevelle, Marilyn Manson and Rammstein are among the headliners. Has anyone heard of @BABYMETAL_JAPAN All of us are going to the show this Friday. This is going to be so bizarre, in a good way! The newest members of @babymetal_official ?? Such an awesome show! Touring with Lady Gaga and headlining Wembley, the sky’s the limit for Tokyo’s kawaii-metal superstars.